Some people like to play it safe. While they enjoy a card game as much as the next person, they are more inclined to do things solo, like a nice game of solitaire. If dealing yourself a hand of cards that will, in the long run, offer no reward sounds like a fairly dull time, than it's a good thing you live in Las Vegas. With the slew of casinos lining Las Vegas Boulevard (and the outlying areas), it should go without saying that you should never have to deal the cards yourself. If you're looking to put a little pizzazz behind that game of cards, than you need to sit in on one of Sin City's many poker games. Back in the 1930's, poker was a simple game of 20 cards being separated between four individual players. 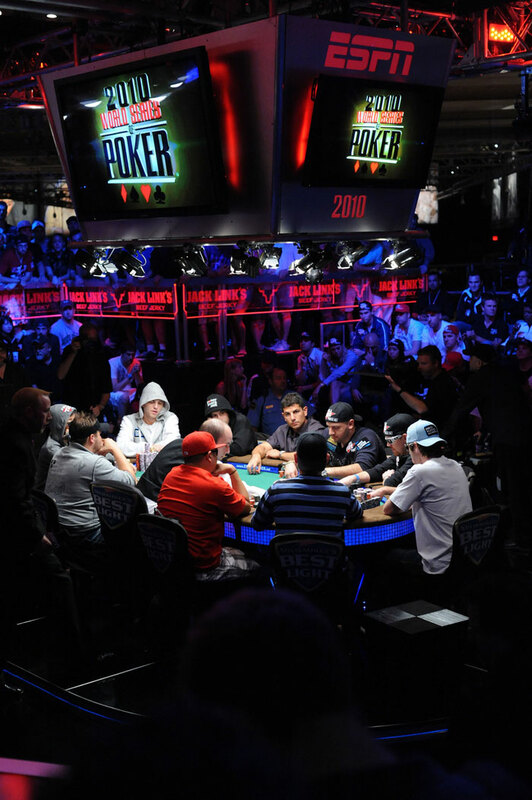 Once the hands were dealt, each player would place a bet as to whose hand they thought was the most valuable. As the betting ended, each player would reveal their hand and the pot would be divvied up between the winners. As the years wore one, poker started to take on a whole different set of rules that would include the ability to draw cards and a tiered payment system. It is that more commonly known version of poker that is played at the felt lined tables of Las Vegas casinos today, and it is a brutal game of skill and chance. No matter which hotel you step into along the Strip, you'll find that you'll be able to partake in the game of poker. Each casino offers an array of poker variations, each variation being played off of different rules and varying limits. Table limits depend on the hotel but could range anywhere from $5 to $100. While the game is typically the same no matter which casino you decide to play in, each hotel has a differing array of amenities that come with playing in their property. A hotel like the MGM Grand offers 22 tables, each of which offering tableside massages and validation for valet parking. If you're new to the game or want to pick up on a few new tips and tricks, free poker lessons are available throughout the day at many of the major properties. If you're in it for the high stakes, every casino along the strip holds a slew of No Limit Hold 'Em tournaments. Tournament buy-ins varies in price depending on where you play, but can start as low as $20 and go all the way up to $500. The formula usually plays out that the better known and higher-end properties will have higher buy-ins. When you're on the prowl looking for a game to join in on, it's imperative to realize that not every poker game is the same. Poker comes in the Straight, Stud, Draw, and Community Card varieties – each of which changing up the way the game is played. If you're into a more simplistic variety, 5-Card Draw is the most commonly played variation and gives the player the ability to swap out cards in hopes of receiving what they need to complete their hand and win the round. For those looking for a more classic variation, Straight Poker is the oldest form and offers a simplistic game of betting. 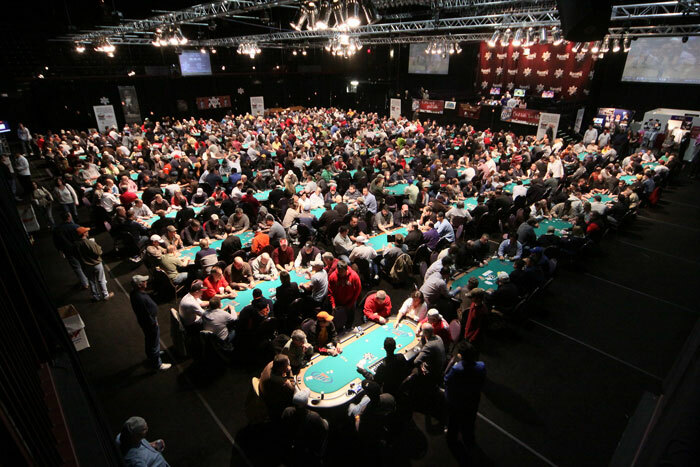 When you've gotten the swing of things underhand and feel confident enough to take on the big wigs, you can look into joining the World Poker Championship. Don't be fooled – the players in this championship are typically amongst the best of the best and should only be challenged if you're fully confident in your skill level. For the meantime, though, make use of the free lessons and play at lower limit tables until you start getting the hang of how the game works.